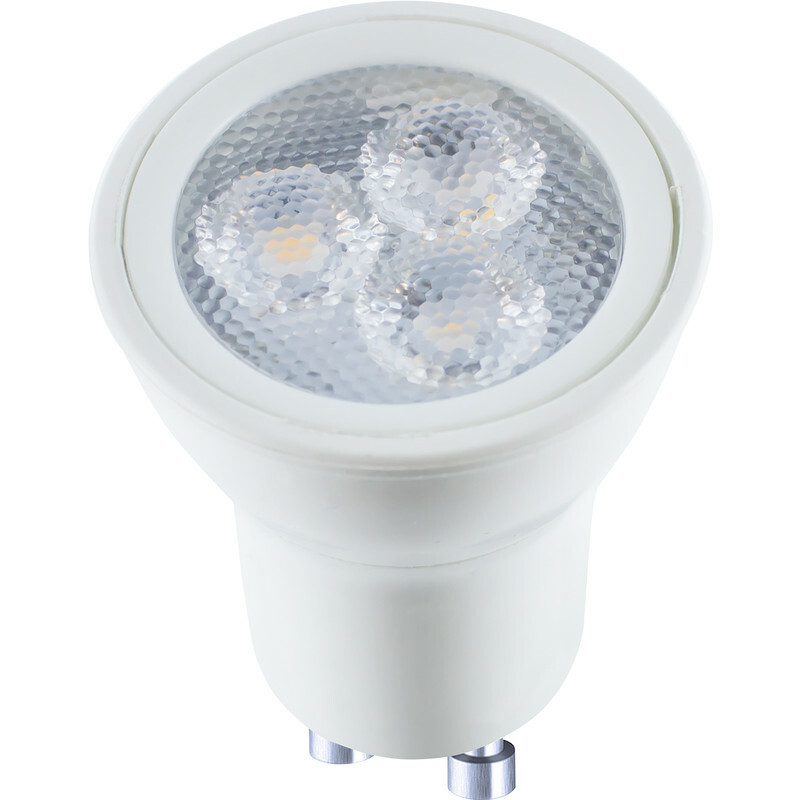 Integral LED GU10 35mm Lamp 3W Warm White 185lm is rated 4.6 out of 5 by 5. Rated 4 out of 5 by Old Salt from Neat and seem to work well. Time will tell, but initial impressions are good. Good light coverage and very low wattage. Rated 4 out of 5 by DilbertUK from Finally! I've been looking for reasonably priced Mini GU10 led bulbs for years and here they are! They give a very bright warm light which is perfect for what I needed. They've only been in a few days so I can't comment on their longevity but so far so good. Rated 5 out of 5 by Roger100 from Brighter than halogen Bought as replacement for 35w. halogen, brighter and nicer light using a fraction of the energy.